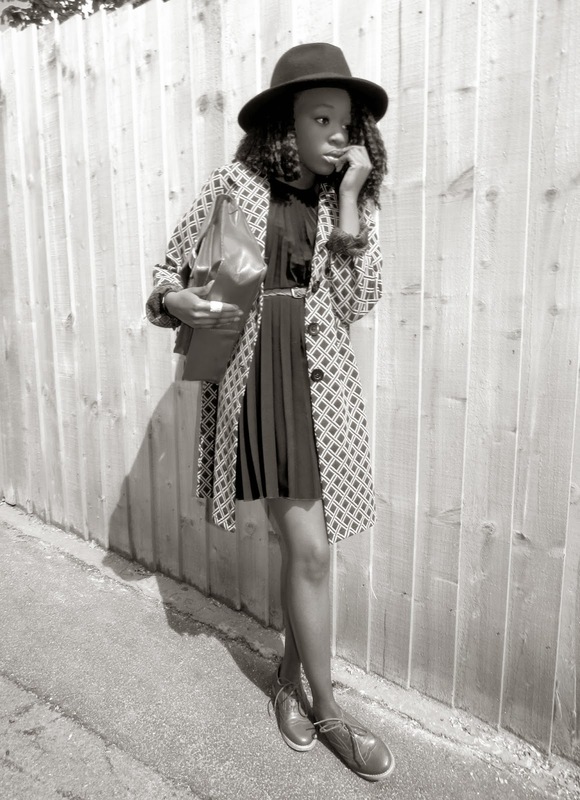 H&M Fedora Hat / Thrift Coat / Ebay Pleat Dress / New Look Thin Belt / New Look Brogues. The weather has been amazing which took me by surprise the past couple of days. It's definitely a nice change from our usual dreary/wet weather so of course I am taking advantage by baring some legs. As my minimalism streak continues, I'm starting to embrace black, clean cuts and of course the simple things in life. 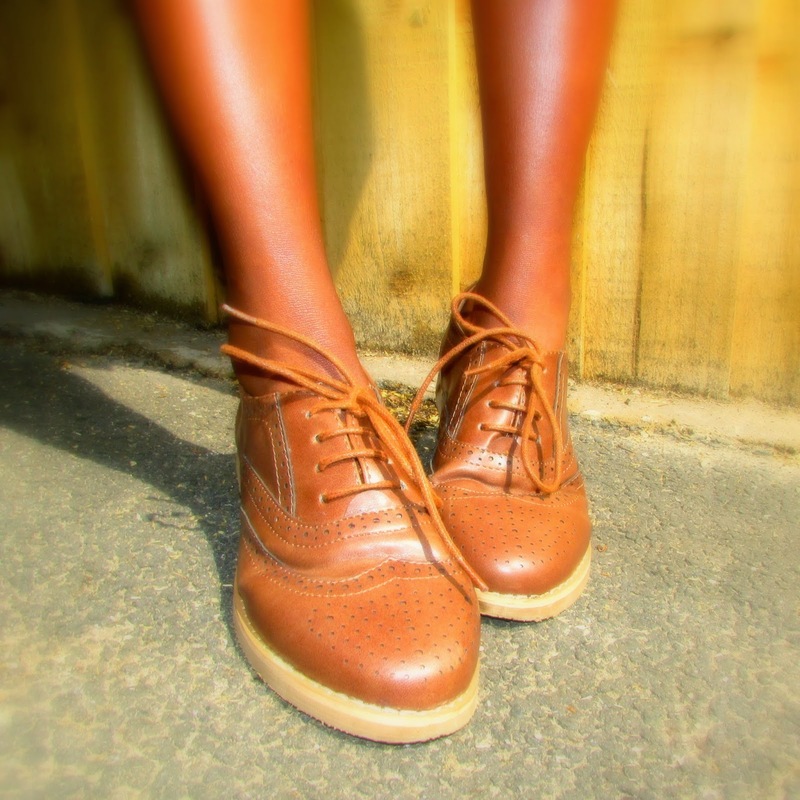 After being stuck in my shoe closet for almost 4 months, I am finally wearing these gorgeous brogues. 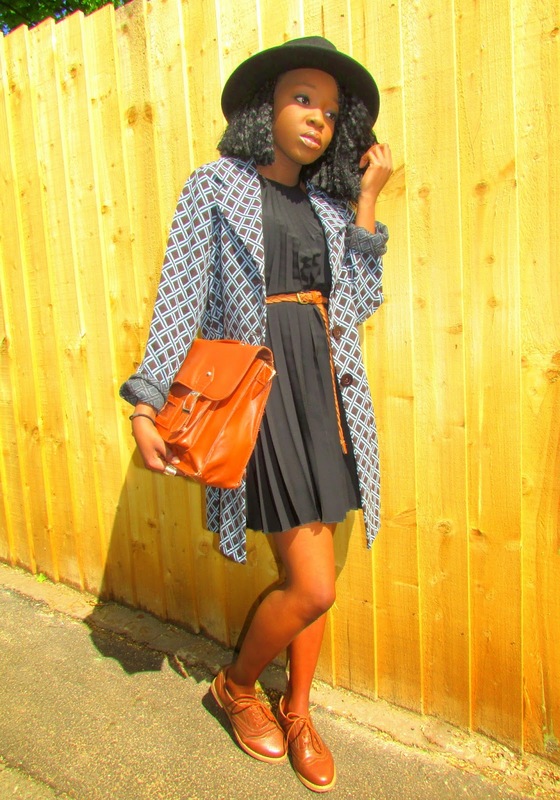 Teaming up a simple black pleat dress with a print coat and thin belt for waist definition, simplicity is the order of the day.